Batavialand is both an indoor museum and a historical shipyard. 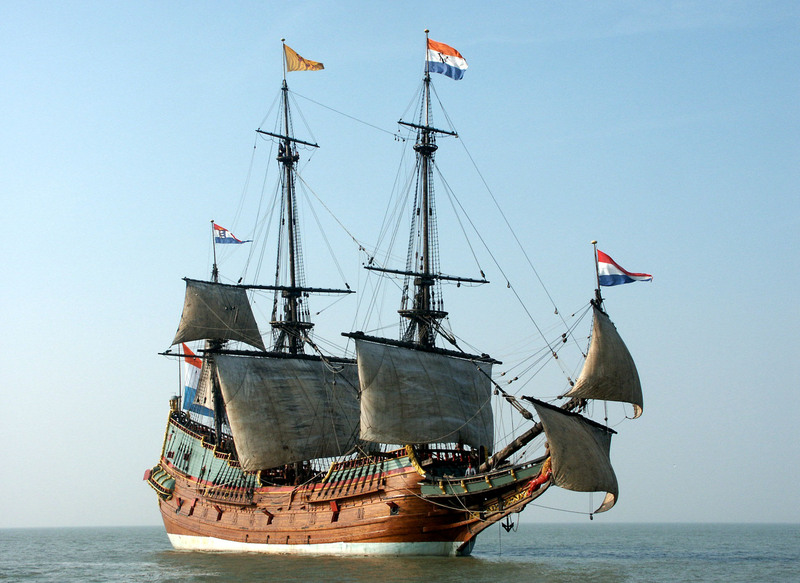 Here you can see how ships are built and conserved, visit the reconstruction of the 17th century VOC ship the Batavia and find out more about the Dutch role in water management worldwide. There is special attention for the province Flevoland (which includes 450 shipwrecks) and the Zuiderzeeproject. Batavialand communicates the pragmatic Dutch mentality, shaped by the challenge of living on the boundary between water and land. Batavialand showcases the knowledge and expertise about that land and water connection: knowledge and expertise about polders, water management, shipbuilding and trade; in the past, the present and the future. Batavialand is where you are taken into the world of commercial spirit and technology. A place where Michiel de Ruyter and Cornelis Lely logically intertwine as the symbols and foundations of Dutch society and our culture. Batavialand caters to a wide national and international audience with its programmes. The Batavialand shipyard shows how the Dutch have mastered shipbuilding over the centuries; robust ships that were capable of traversing Dutch and international waters. The shipyard will take you back to the world of historical shipbuilding, crafts and the Dutch Golden Age. 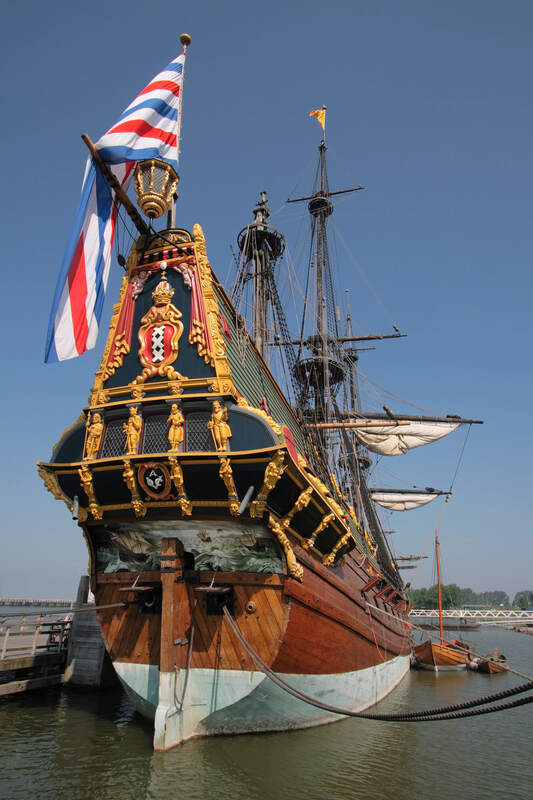 The famous reconstruction of the VOC ship the Batavia lies docked at the wharf at Batavialand. Everyone is hard at work to keep the Batavia in a good condition. As you stroll across the decks, eager volunteers will tell you amazing stories about life as a sailor, the VOC, dangers out at sea and the on-board cuisine. You will feel like you are actually in the 17th century! At the Batavialand museum, we display Dutch history, which started 7000 years ago. Did you know that the area that is now called Flevoland already had inhabitants? You will learn all about this piece of history in the ‘Primal’ exhibition! The area now called Flevoland has been around in many shapes and forms. Starting out as a landmass 7000 years ago, it turned into a body of water and finally, by the 20th century, we reclaimed it. "Land gemaakt door mensenhanden", or, 'Land made by human hands', is what we sing in the Flevoland anthem. The exact details of that can be seen in the Polderen! Exhibition, which deals with the past and the future of the Zuiderzee Works. Hans Maris, grandson of one of the first settlers that moved to the reclaimed land area’s in the 1940’s, is born and raised in Flevoland, the biggest polder in the world. Growing up in this area, he became a big fan of the typical Dutch polder landscape. After Hans graduated from the Maastricht School of Hotel Management, he worked several years in the international hospitality industry. In 2001, he returned to the Netherlands where he held positions in the hotel and recruitment industry. In 2006, Hans joined Heineken as General Manager of the Heineken Museum in Amsterdam. The former brewery, listed as industrial heritage, transformed under his supervision to the current Heineken Experience, which is now one of the leading attractions in Amsterdam. In 2011, Hans moved back to Flevoland to become General Manager of the Bataviawerf historic shipyard. In 2017, the Bataviawerf merged with the New Land Heritage Centre and together with the Maritime Archeology Department of the Dutch Agency for Cultural Heritage, a new heritage park was created: Batavialand with Hans Maris as chairperson of the Executive Board. Willy van der Most is Head of Knowledge and Collections at Batavialand. This department conducts research into 'the Dutchman on the border between land and water' with as spearheads: water management, shipbuilding, shipping, maritime archeology and the Zuiderzee project. Batavialand is the administrator of the Provincial Depot for Archaeological Finds of Flevoland and of the National Ship Archaeological Depot. In addition, Batavialand has in the Study Center the library and archives of Flevoland. As Head of Public and Presentations, Ms Kroeske manages the employees of the departments Marketing & Communication, Design, Culture Education, Sales & Reservations and the Reception. Together they work on a high-quality offer for the public, visibility and findability in online and offline media and optimum customer satisfaction. They develop policy and new initiatives to increase the number of visitors.